With its myriad forms and flavours, this snack is probably as old as Singapore itself. If you love the curry puff, or epok-epok, as it’s also known, you are in gastronomic heaven in Singapore. You’ll find this snack everywhere you turn, in various forms, flavours, and even ethnicity. Yes, you heard me right. 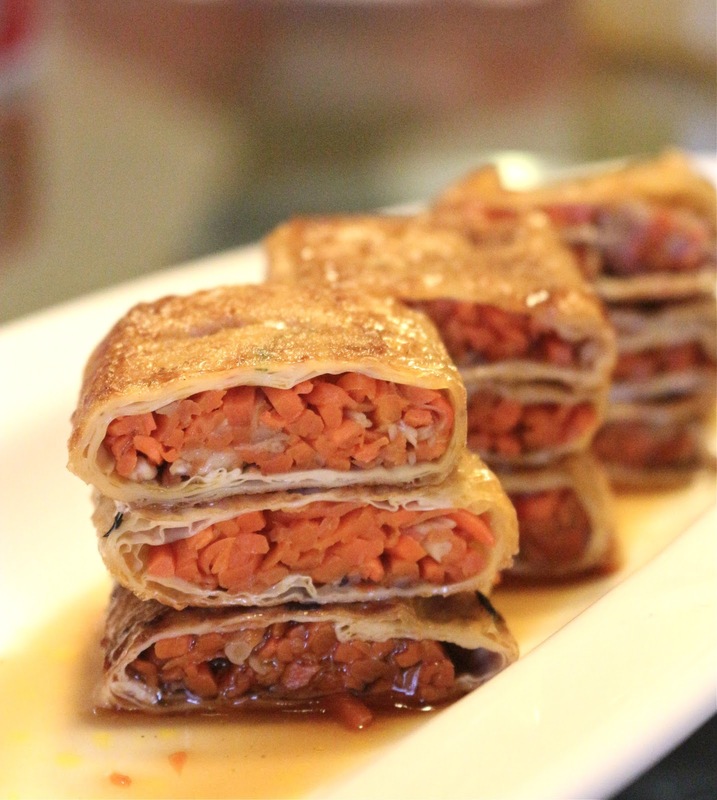 Curry puffs as made by the Chinese is as different from those made by the Malays or the Indians. Even the puff’s crusty skin appears to have jumped cultural boundaries. There’s the British-style flaky puff pastry; the European-influenced Indian layer crust; and the Chinese-style dough that is heavier in texture and taste. Likewise, the filling, which was traditionally curry chicken with potato, or tinned sardines, has gone way beyond these, and stretches one’s imagination. A brief list of fillings you’ll find today are savoury beef rendang, black pepper chicken, and tuna; and sweet concoctions like durian jam, red bean paste, and nata de coco. 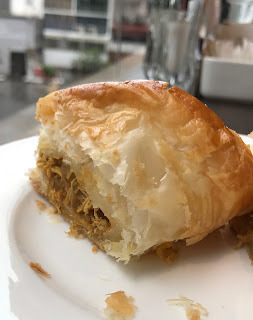 Like many foods of our forefathers, the origins of epok-epok are not crystal clear; but could be traced back to the first landings of the Portuguese in Malacca and Southeast Asia in the 16th century. These Europeans brought with them a wealth of new flavours and culinary traditions to this part of the world. In fact, the influence of Portuguese cuisine on local food styles has given rise to the cuisine known as Cristang. One such Portuguese snack was the Empanadas, and it slowly developed into the epok-epok. 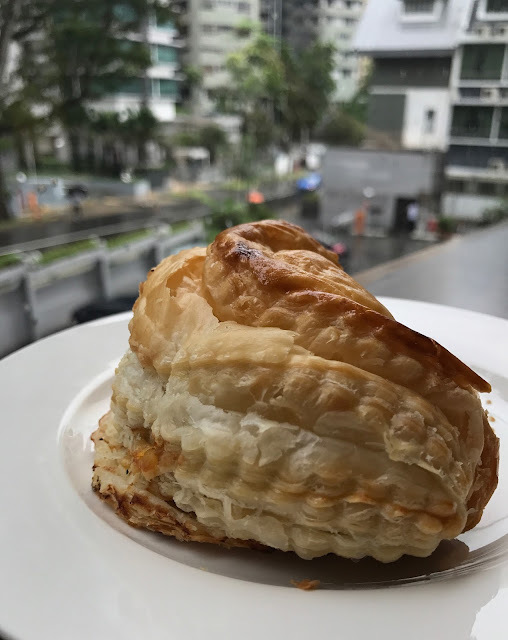 In Singapore, the epok-epok became so popular it was a known fact that the cabinet ministers of our early government would have a certain brand of epok-epok for snacks between parliamentary sessions! And many of us grew up snacking on epok-epok during recess at school, for breakfast, or even at parties. Tradition, it seems, is good business, as some of the most famous makers of curry puffs in Singapore today would tell you. Then and now, the epok-epok was hard to miss. Today it can be found at hawker centres, coffee shops, shopping malls, and snack counters at public transport hubs, and just about everywhere. Two types of crust seem to be most common and popular: the flaky-textured British-style, and the heavier-textured Chinese-style. You can find frozen curry puffs in supermarkets these days. These snacks have become lucrative business, and leading manufacturers export epok epok to the Middle East, America, and even Japan. Mix flour and baking powder into a bowl. Add salt and shortening. Mix thoroughly until the mixture becomes breadcrumb-like in texture. Add butter and mix well. Add cold water gradually while mixing until the mixture forms a soft and not too sticky dough. Cover the dough and leave it to rise for ½ hour. Dust the working surface with flour. Roll out the dough to a 1-cm thick rectangle. Fold it into multi-layers and roll it into a Swiss roll. Cut dough into 1-cm thick slices. Flatten it into a round shape; place 1 tbsp of filling in the centre. Fold it into a half-moon shape and seal the edges with water. Deep fry it in warm oil until it turns golden yellow. Drain and serve immediately. 1. Season chicken with salt. curry powder and fry for another 3 minutes. 3. Add potato and fry until slightly brown. Add water and cook potato until soft. 4. Add chicken meat and fry until the meat is cooked and the liquid dries. 5. Season it with salt and sugar. 6. Cool it completely before using. Stir-fried chicken with walnut is a traditional recipe. While the origins of the dish are unknown, it was one of a handful of dishes shared by almost all people from the north to the south of China. Since walnuts and chicken used to be expensive, this dish was often served during celebratory meals. I remember my grandpa loved this dish so much that it even the lack of teeth didn’t deter him from eating it. He would say to my grandma, “walnuts are good for the grandchildren. They are good for the brains and hopefully they will study well in school.” Subsequently, I found out that he spoke a half truth. The Chinese also believe that walnut promotes longevity. No wonder my grandpa lived into his mid-80s before passing on. 1. 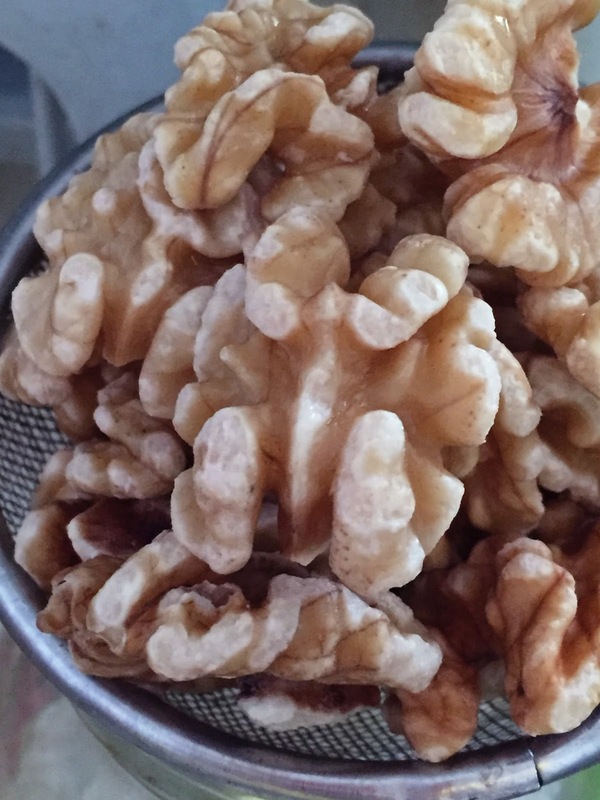 Soak walnut in warm water for 30 minutes. Peel skin (optional). Drain till dry. Fry walnut in 75°C oil. Increase heat gradually and fry till the nuts turn golden brown. Drain thoroughly. Set aside. 2. Heat oil till hot. 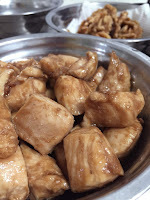 Blanch chicken meat for 1 minute (oil velveting) and drain thoroughly. 3. Heat 1½ tbsp. of oil till smoking point. Quick fry vegetables till slightly charred. Meanwhile, add sugar and salt. 4. Add chicken and continue to fry for another one minute. Pour Chinese wine. 5. When the wine is about to evaporate completely, add walnut. Fry thoroughly. There is a feature of Hangzhou that would normally escape the day-tripper or casual short-term visitor: its endless evenings. While a typical twilight lasts minutes, some geographical or meteorological quirk has given Hangzhou a twilight that stretches for hours, bathing its streets, malls, parks, and willow-lined canals in a soft crepuscular glow and giving this city of 6 million inhabitants a seductive intimacy. Stay for a season and you’ll discover this effect. 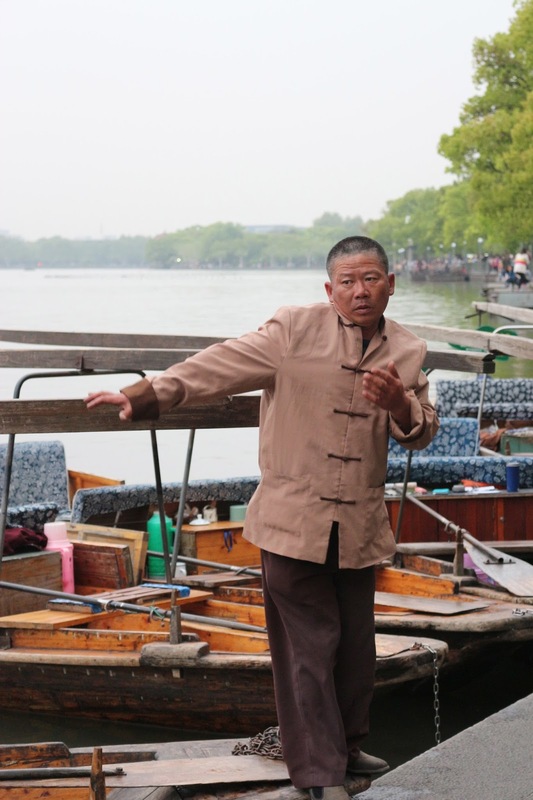 Even today, life in Hangzhou gravitates around its fabled West Lake. Better known as Xihu, this man-made lake had its beginnings sometime in the 8th or 9th centuries during the Tang Dynasty and was expanded over the centuries to its current size of 6.3 sq km. Ringed by parks and green mountains, straddled by stone bridges, dotted with pavilions, pagodas, temples and romantic villas, the sight of West Lake, especially on a misty morning, would be a cliché were it not so meltingly beautiful. Hangzhou is rich with other worthwhile sights such as the Xixi wetlands and the tea-growing Longjing hills, but they are overshadowed by the magnetism of Xihu. Hangzhou is the capital of Zhejiang province and its cuisine displays the core virtues of the Zhejiang style: the blending of sweet and salty flavours; boiling, stewing, braising, and simmering favoured; meat is cooked in its own juices, the dishes fresh, tender, fragrant and rich – either crispy or soft, but far from greasy. Seasoning is never over-rich or underdone, and the meat falls easily off the bones. 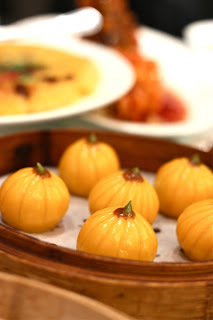 To this provincial style Hangzhou cuisine has its own inflections, going further in lightness – especially in using even less oil – and sweetness. Cooks make use of the best available freshwater carp, eels, shrimps and crabs, and abundant local vegetables and fruits. 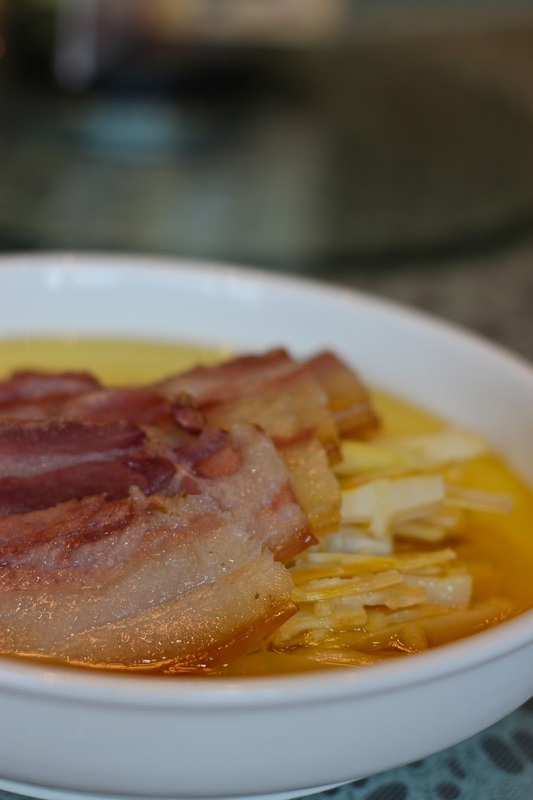 Bamboo shoots are a particular favourite; stewed, for example, in peanut oil immediately upon being unearthed and enjoyed for their freshness, tenderness and deliciousness, which are best in spring. Here is a tour of the best places in Hangzhou to experience its cuisine. In the field of mid-priced local fare, two worthwhile chains exist in Hangzhou: Waipo Jia and Lao Tou Er You Bao Xia. Tourists and visitors would flock to the former, which is better known, while ‘those-in-the-know’ discreetly make a beeline for the latter. Even during its humble beginnings as a roadside stall, it was common to see posh cars parked beside Lao Tou Er You Bao Xia. 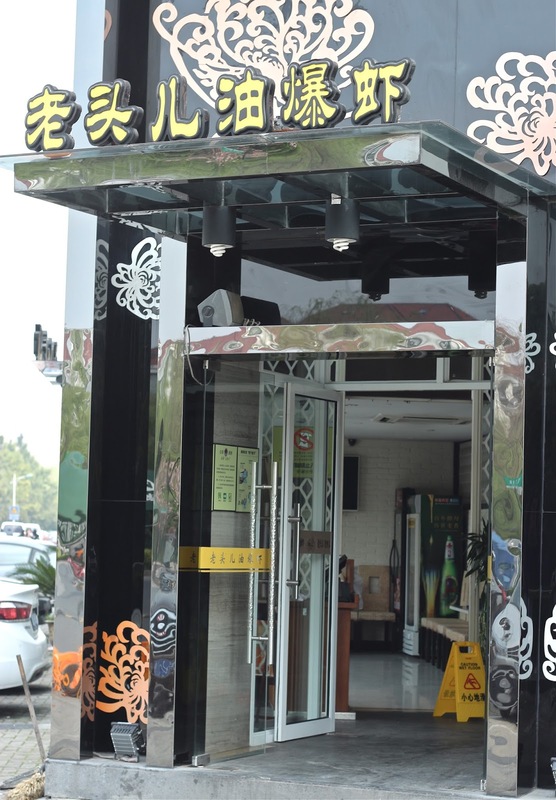 Today, the chain is 12-outlet-strong throughout the city, with its largest located outside Xixi National Wetland Park, a popular tourist attraction. Known for its signature Quick-fried River Prawns and Deep-fried Ribbonfish, waiting times at peak hours are at least 30 minutes for a table. But once seated, dishes arrive with machine-like efficiency. A comprehensive menu offers many popular home-cooked dishes, making it a great, reasonably priced entry to the cuisine of a typical Hangzhou household. While there, also check out the Braised Stinky Tofu with Shrimps, Stir-fried Cabbage and Wine-infused Red Dates. The average spend is about RMB50 per person. Like a living guardian of posterity, Zhiwei Guan has witnessed the milestones of Chinese political and culinary history over the last 100 years. Founded in 1913 and located next to West Lake, its cuisine remains authentic and seemingly unadulterated by the avalanche of new and trendy styles, especially from the west. One gripe, however, is that recent renovations have diluted the charm of the old-world interiors, which used to be in concordance with the elderly folks living in the area who make the restaurant their haunt for dining and mingling. 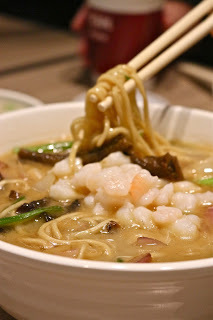 It is still a great destination for a breakfast of old-fashioned Hang Bang (or Hangzhou-style) noodles and dim sum. Jostling with the crowd of morning diners – if you are up to it – can be a charming whiff of local dining habits and mores. The ordering process goes like this: Study the menu on the wall and memorise your order, which you tell to the cashier, after which collect your food at a nearby counter. 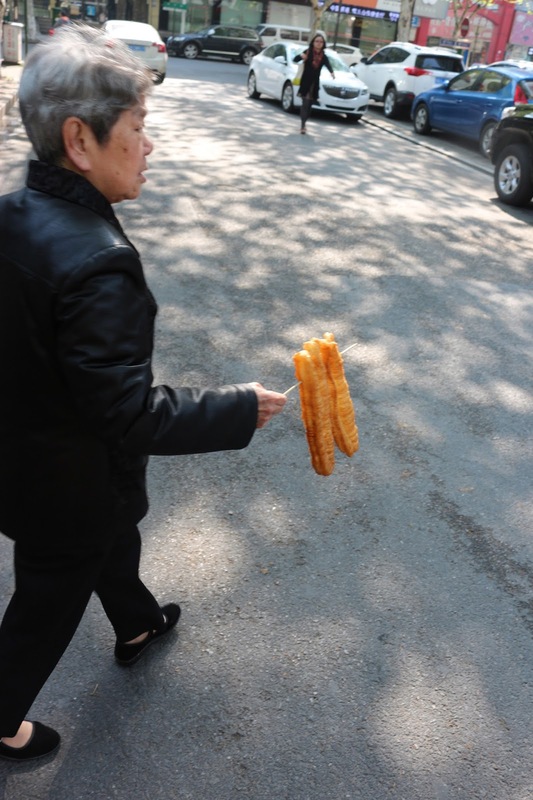 The locals eat simple breakfasts, typically a bowl of noodles, a basket of buns, or simply savoury bean curd. So the sight of the hoard on your tray, especially for us Singaporeans, is a sure give-away of ‘foreigner’ status. P.S. 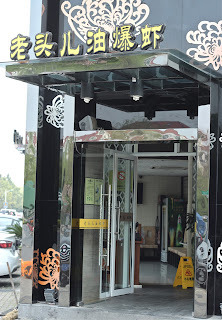 If you prefer an ala carte meal at a lakeside setting, they operate another branch at 10, Yang Gong Di, Hong Li Shanzhuang Nei. Tel: 0571-87970568. 61 Yu Gu Lu, Qingzhi Wu rukou. Although they are relative newbies on the scene in Hangzhou, getting a seat at this scenic restaurant is a challenge. Be advised to make an appointment and be prepared to wait at least an hour for a seat. 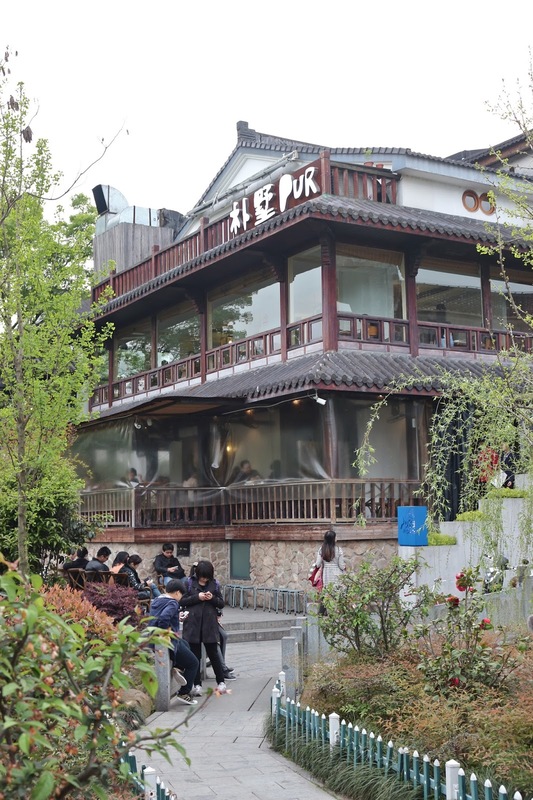 As the only other restaurant in the West Lake district (the other being Zhiwei Guan above), Pu Shu attracts a younger audience. And although the interior is young and hip, the dishes are mostly traditional provincial food found around Hangzhou. If you are not familiar with the menu, the service staff could assist; but the Hangzhou-style appetisers are highly recommended. When booking, ask for a private room at the highest floor where the scenic West Lake forest awaits you. Previously known as Long Ding Lou and located high up in the tea-growing mountains, their land was acquired by the government, forcing the move to the city centre and the change of name. 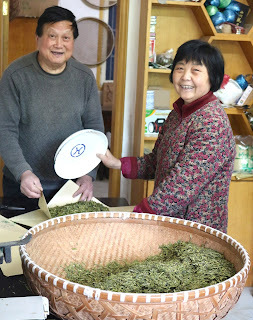 The owners belong to a famous lineage of tea-growers in the mountains who served simple, down-to-earth, but tasty ‘peasant’ food with ingredients mostly harvested and sourced from nearby farms. The current restaurant looks more polished and the food presentation more refined, but the core cooking style remains. The ingredients are also fresher than most restaurants in the city and the same high quality has been maintained. One of the most pleasant surprises was the ‘roti prata’ counter at the entrance manned by an Indian staff who also makes the prata. Not only did the prata taste great, it actually made a good side dish that complemented the local dishes. As Hangzhou is surrounded by rivers, freshwater seafood is not to be missed as well. The freshwater fish found here is usually fatter and their meat tender. River prawns, with sweet flesh and bursting with roe, are eaten blanched simply in boiling water. 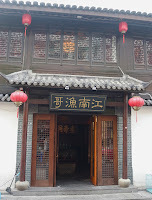 This is another food institution in Hangzhou famous for its soup of double-boiled duck and bamboo shoot. 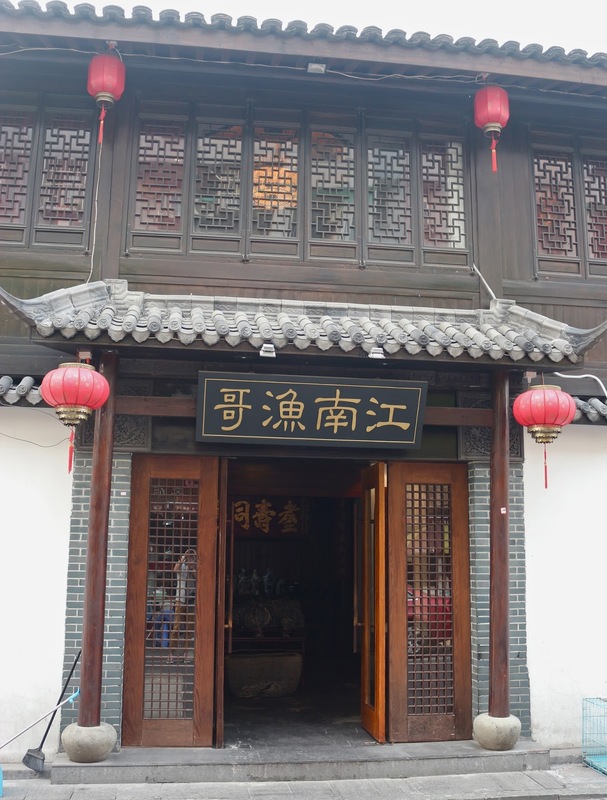 Like most other venerable names, it began as a humble restaurant with a signature recipe: a soup drawn from traditional Hangzhou cuisine in which dried bamboo shoots and a 60-day-old duck is double-boiled in an earthen pot. The restaurant today occupies a 5-storey building and operates a couple of branches in the city. 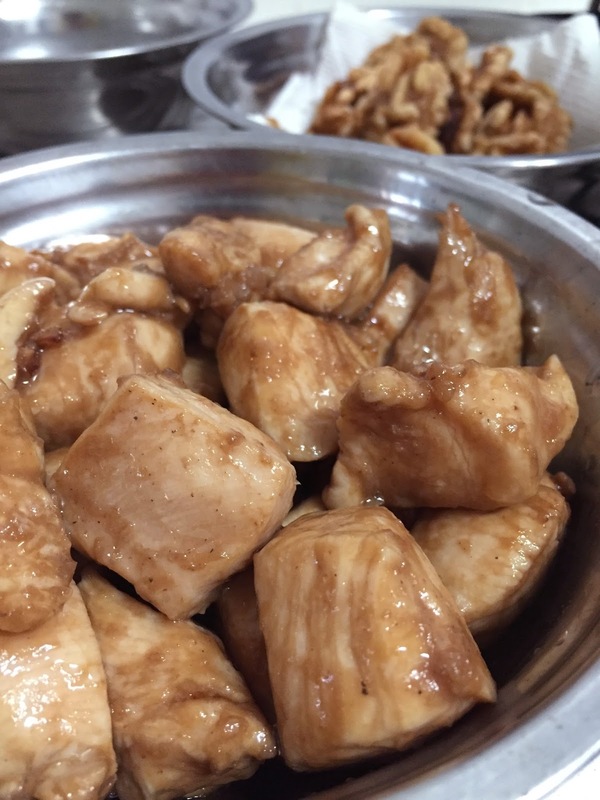 Despite the size of its operations, its food quality has not diminished, and a pleasant surprise was finding a Hangzhou signature dish such as Sweet & Sour Fish scoring high in a city filled with competing efforts. Try to go to the restaurant before 5pm, otherwise you should consider booking a seat. 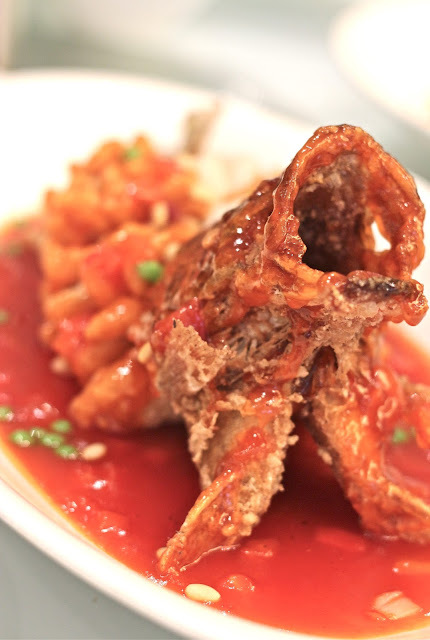 This 2-year-old private kitchen maintains a low business profile and is known only to Zhejiang food connoisseurs. Located on the outskirts of the busy shopping area, it contains 5 private rooms with a façade that blends inconspicuously into the cityscape. But don’t be fooled by the young staff and chipped crockery, the quality is superb. The restaurant is headed by Chef Cai from the neighbouring city of Ningbo, and customers have absolutely no say in what they eat – only in what they do not eat. You select a prize range on booking and the menu is presented to you upon arrival. The interior resembles an unpretentious family living room, and, given the restaurant’s autocratic streak, the ambience is surprisingly warm. Chef Cai loved to cook since he was young, influenced by the tastes and techniques that he grew up with. Seafood remains his forte although he incorporates trends and updates his cuisine by talking to customers and leafing through magazines. While modern ‘nouvelle’ cuisine seems to be running out of steam in gastronomic circles, it is heartening that a chef still seeks to innovate his repertoire one step at a time. This noodle restaurant receives scant mention in foreign travel magazines or books but it is packed with locals as early at 10 am. The menu is short and functional; simply pick your noodle and select the condiments to go with it. 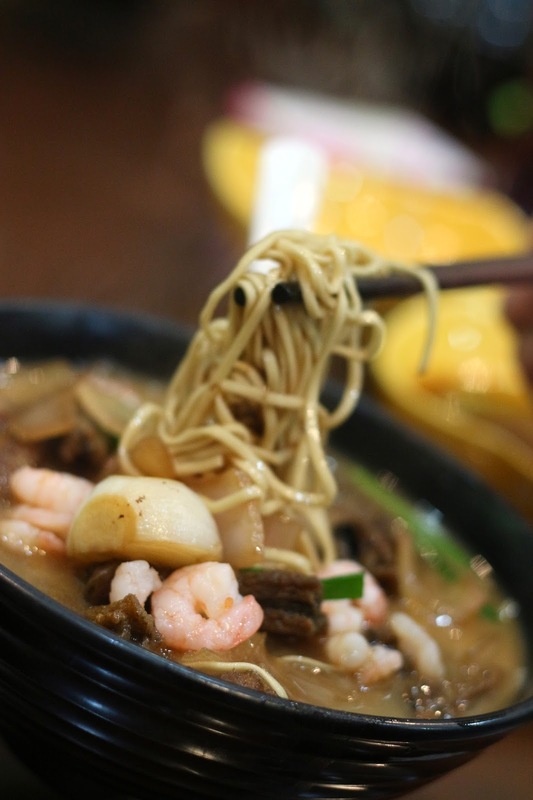 The noodles are freshly kneaded in the kitchen and if you are a first-timer, you won’t go wrong opting for their signature dish – yellow croacker with preserved green noodle soup. It might look like a fast-food chain, but every ingredient in the bowl is perfectly cooked and seasoned. For the side dish, order the Hangzhou-famous must-try, braised soy sauced duck. This duck is marinated in a special-concocted soy sauce, pressed with a heavy stone overnight, then dried and cooked to produce meat permeated with the sweetness of the soy. A trip to Hangzhou wouldn’t be complete a visit to the Longjing tea plantation at Mount Shi Feng. Madam Wang owns the plantation that was passed down through generations. In fact, they were one of the handful of growers appointed as of Longjing tea suppliers to the Qing royal family and to the top government officials of present day Beijing. The tea plantation was bestowed a title of Xie Yuan during Qing period. 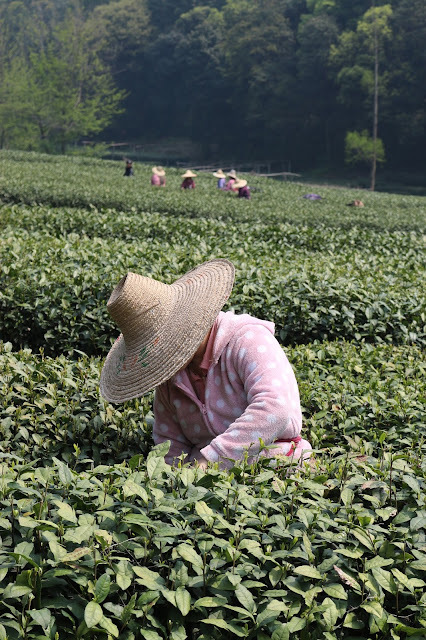 Ming Qian Longjing are tea leaves picked during the first spring when the green shoots are tender and few. The quantity being extremely small, these leaves are much prized and highly collectible. Madam Wang’s collection is so highly sought by Chinese and Hong Kong clients that often no leaves are left for public retail. Try spending an afternoon in her garden sipping the best Longjing she has to offer. 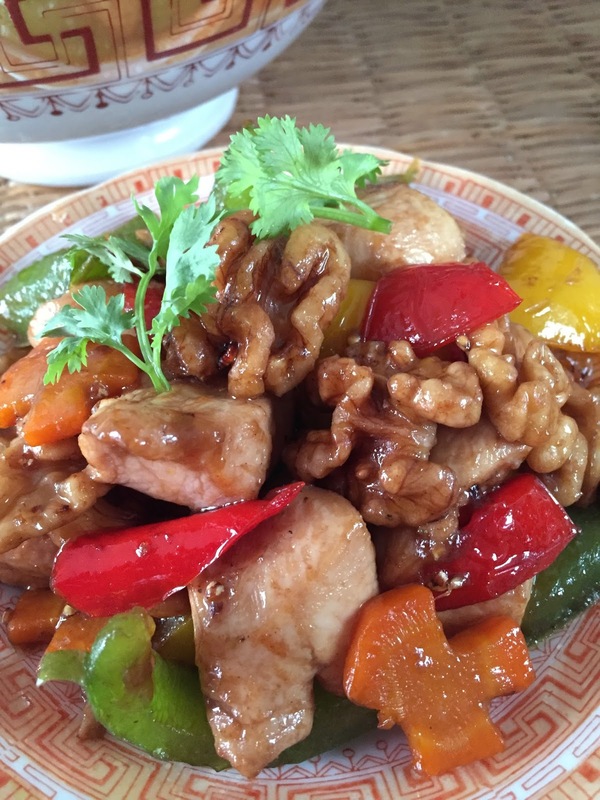 If she is in a good mood, she would even cook an excellent traditional Hangzhou meal using fresh produce, including chicken and fish, from her garden. Old Cucumber Soup is Cool! Food has always ‘spoken’ to me… Y’know, the way a psychic touches a wedding ring or a strand of hair, and the owner’s life flashes before her eyes. I’m exaggerating, of course; but you get the picture. Food and cooking have always been priceless to me, especially when they evoke things, places, people, emotions and sensations, regrets and desires, from my past and present. I’ve always believed, too, that real culinary experiences await and reward the curious, passionate, and open-minded seeker. But, as it so often does, life had other plans for me. Now, however, after nearly 50 years of turning a deaf ear to this ‘calling’, I’ve decided to make the discovery—and rediscovery—of exceptional foods, personalities, and culinary traditions my life, and joy. It’s an adventure I hope you’ll share with me.